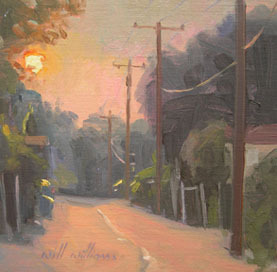 Will Williams is a Maryland plein air and studio painter. 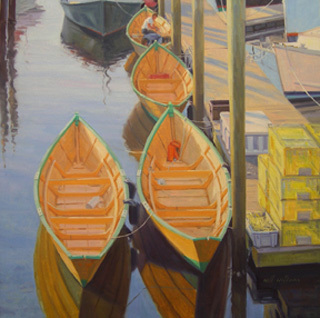 Born in Boston Massachusetts in 1967, he started painting at age 9 creating his first plein air painting at age 12. Will knew from a very young age that he wanted to be a professional artist. 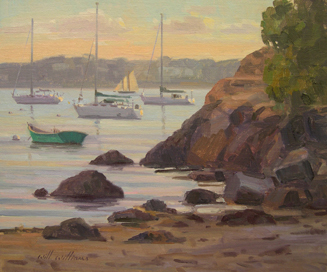 While attending the Maryland Institute, College of Art, Williams won the 1990 Society of Illustrators Scholarship Competition. He graduated that year and went on to start a career as an illustrator. His first job was producing illustrations for books and magazines. This experience taught him the importance of good drawing skills and a gave him a strong sense of design and composition. After several years as an illustrator he felt something was missing. Returning to his passion for painting, he began studying some of history’s great painters. 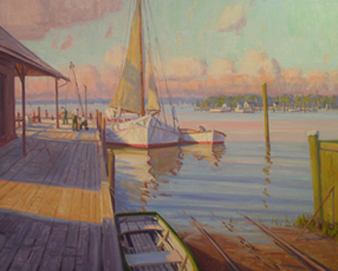 The artists who most influenced him include: N.C. Wyeth, John Singer Sargent, Winslow Homer and Diego Velazques. In the fall of 2000 he took a break-through trip to Italy. After seeing the places Sargent and some of the other great artists painted, Will was inspired to become a painter as his life’s work. 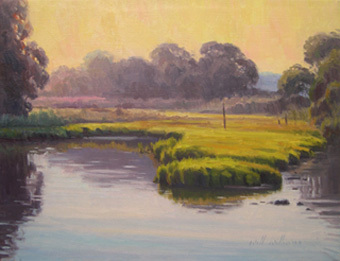 The study of fine art and plein air painting became a serious daily focus. 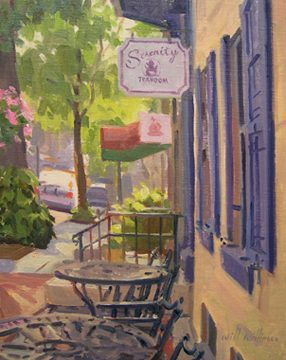 He credits painters Tim Bell and Ken DeWaard as having an influence and inspirationon on his work. 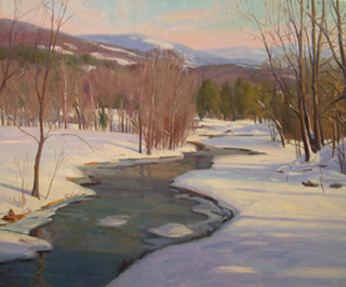 Williams’s paintings are in private collections in Maryland, Pennsylvania, Massachusetts, California, and Florida. He resides in Towson, MD with his wife Monica and their two children.